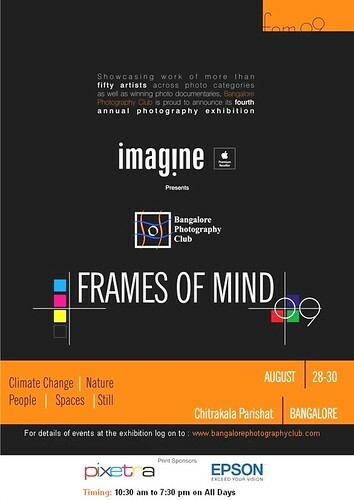 BPC presents "Frames of Mind 2009"
Am participating for the first time in this event with 2 of my photographs. Be there and make this event a grand success. Wish you the very best for the event Shiva! How I wish I could attend. I know how you must have felt when you were sitting abroad and missing stuff!